Last year, Akron School District started a "Big Buddy, Little Buddy" program. 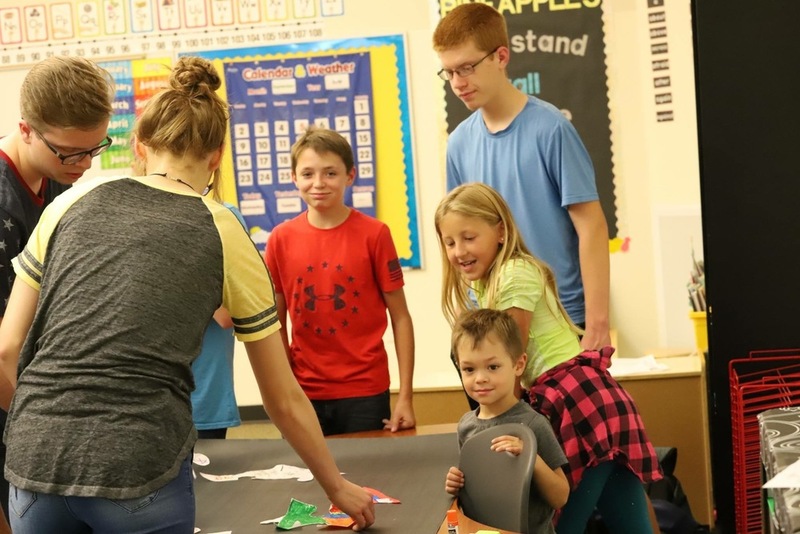 The program started when teacher Kilee Randel and the junior high student council decided it was time to start some sort of activity to bring all the students of the school together. Randel said, "The goal behind the program was, and continues to be, to create role models, find leadership and establish relationships throughout the building. More than anything, we hope to create lasting memories and wonderful relationships for everyone." The program is for every "Akron Ram", as Randel said, to come together once a month with a teacher and participate in an activity. This is for all students in the building, from the preschool though the seniors. The students do an activity each month and it is hoped that the activities bring conversation and create a feeling in each student to create the overall feeling of being a part of something. Though they may be a small piece of the whole, they are just as important to the whole as is everybody else. "All students are encouraged to have fun, invest in one another, and become the best Ram the can be. We hope to see our younger Rams out supporting our older Rams in all of the extracurricular activities, and we hope to see more of our older Rams attending events our younger Rams participate in as well," Randel said in closing.